OFF-ROAD LIVE ! : CRANDON LIVE ! LIVE From The BigHouse Of ShortCourse Racing, Labor Day Holiday Weekend LIVE! 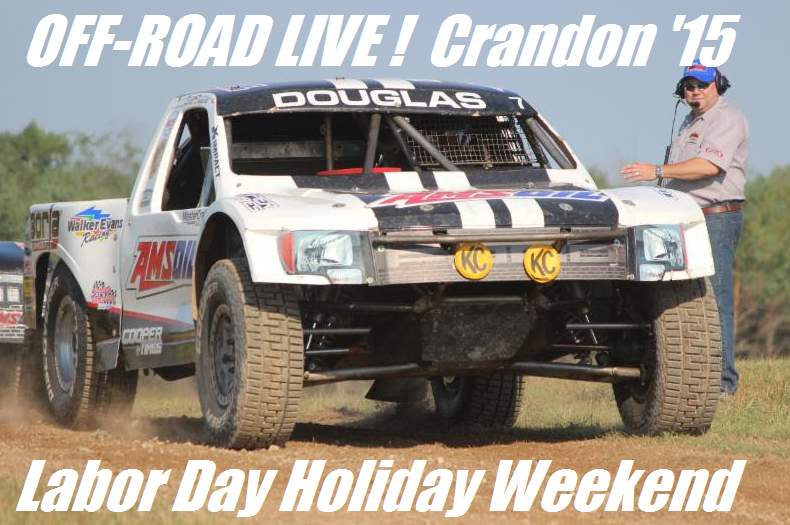 CRANDON LIVE ! LIVE From The BigHouse Of ShortCourse Racing, Labor Day Holiday Weekend LIVE! 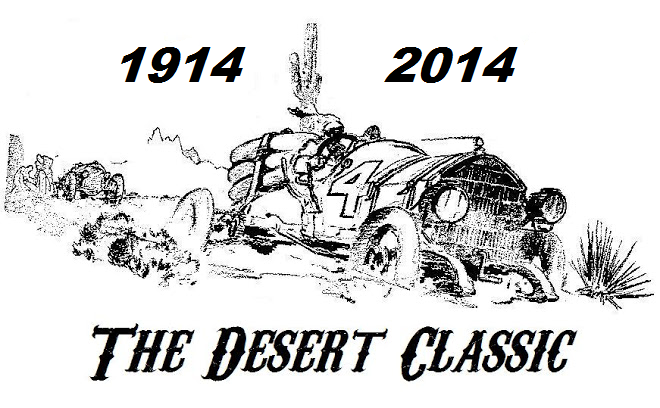 In an event steeped in history made by legendary names in off-road racing, another racer has made his mark. 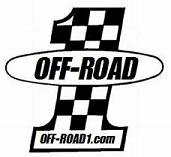 CJ Greaves successfully defended his TORC: The Off-Road Championship Presented by AMSOIL PRO 2WD title Sunday in addition to earning both the PRO 4WD championship in his first season in the class and holding off Chad Hord for the AMSOIL Cup. At the season-ending Keys to the Big House Powered by Kenda Tire Traction Dealers, Greaves and his Toyota finished third in the PRO 2WD race behind winner Marty Hart and runner up Keegan Kincaid, and finished second in PRO 4WD behind Kincaid, clinching the championship. Cam Reimers, who has had several podium finishes this season in his Liquid Wrench truck driving for Arie Luyendyk Racing, finally broke through for his first-ever PRO Light win as Doug Mittag earned the 2015 PRO Light title. Greaves, on Maxxis Tires, dominated both classes all season with six victories in PRO 2WD and eight in PRO 4WD, finishing off the podium only four times. His father, three-time PRO 4WD champion Johnny Greaves, fought his son throughout the season, but a rare last-place finish in Sturgis ended up being the deciding factor that would prevent the multi-time TORC champ from seeing his third-straight title. CJ came into Sunday only having to finish one lap in PRO 4WD competition to clinch the title in that class, but a five-point lead in PRO 2WD over Kincaid made earning the title in that class much more interesting. Kincaid took the holeshot in that race, holding off a hard-charging Hart for most of the first half, but a slight bobble gave Hart the opening he needed to take the lead and his second class win of 2015. In PRO 4WD, Kincaid was dominant, as he was Saturday, but on Sunday, all the cards were in the Wisconsin native’s favor. While he was leading, Johnny Greaves and Saturday’s winner, Kyle LeDuc, were racing hard during the opening lap with contact from Leduc. Moments later, Greaves would get into the back of LeDuc, spinning out both just ahead of the finish line. The contact resulted in Greaves truck being unable to finish the race, while LeDuc would continue on. The damage to Greaves’ truck also prevented him from competing in the AMSOIL Cup. Kincaid’s eventual victory, a popular one in front of his hometown crowd, snapped LeDuc’s PRO 4WD win streak of 13 total races. CJ and Douglas fought hard throughout the race, with Greaves barely edging the veteran at the end of the race. To wrap up a solid season, Douglas was able to not only put his AMSOIL truck on the podium, but was able to end the season third in the final PRO 4WD points. After Sportsman racing, it was time for the PRO Lights. The class took the green with a sense of urgency due to an impending storm, but was immediately force to restart after a massive crash in Turn 1 involving multiple drivers. Reimers dominated the first half of the round, as he has multiple times this year. The Iowa native was able to stretch his lead due to a battle between Mittag, Shawn Morris, and Luke Johnson behind him. Mittag was finally able to get to Reimers, but Reimers held off the champ to take the checkered flag. With the storm edging ever closer to the track, the AMSOIL Cup took the green with Hart getting the PRO 2WD holeshot. Kincaid took the lead out of Turn 1 when the PRO 4WDs launched and looked like the driver to beat. He eventually took the overall lead, passing Hart, but a transmission issue took him out of the race. CJ Greaves took the lead and it looked like clear sailing until Hord, a past champion in this event in PRO 2WD, came on strong and was barely edged out at the finish line. Jeff Kincaid, after a podium finish Saturday in the PRO 2WD race, rounded out the AMSOIL Cup podium in third. When Kyle LeDuc, who was a non-factor in the AMSOIL Cup race due to a flat tire early, won the PRO 4WD race Saturday, he mentioned a young man named TJ who told him he would not beat the Greaves this weekend at Crandon. LeDuc made sure to point that out during his podium speech, a moment not lost on the newly-crowned PRO 2WD/PRO 4WD/AMSOIL Cup champion. TORC would like to thank the racers, the tracks, its staff, its sponsors, and, most importantly, the fans for an amazing 2015 season. Saturday at Crandon International Off-Road Raceway, the combination of a dominating victory by hometown hero and Cooper Tire-sponsored racer Keegan Kincaid and a misstep by defending PRO 2WD champion CJ Greaves has set the stage for an intense showdown Sunday in front of what could be the largest TORC crowd ever. Only five points now separate Greaves and his Toyota team and Kincaid after a fifth-place finish at the Keys to the Big House season finale event for TORC: The Off-Road Championship Presented by AMSOIL. It’s a different story on the PRO 4WD side for Greaves. After finishing second to Kyle LeDuc, earning his second-straight Crandon World Championship, all Greaves has to do Sunday is take the green flag in his Maxxis Tire Toyota to take the championship mantle from his father, three-time and reigning class champion Johnny Greaves. 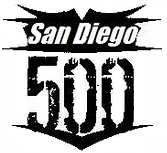 On the PRO Light side, Doug Mittag saw his truck suffer mechanical issues forcing him to finish last with Travis Dinsmore and his Atturo Tire/VP Racing Fuel-sponsored truck earning his second-consecutive victory at the legendary track. Mittag’s woes came at the right time, however, since he, like Greaves in PRO 4WD, only has to take the green flag Sunday to earn the TORC PRO Light title. Kincaid, who also made his first-ever PRO 4WD start Saturday, ran neck-and-neck with Greaves for the first half of the PRO 2WD round. The entire 2015 season has seen the two Wisconsin-born rivals battle tooth and nail at every event and the action continued in similar fashion in the penultimate race of the year. The duo was followed closely by Jeff Kincaid, making his first TORC start of the season and on Cooper Tires like his son, and Marty Hart. Greaves was briefly able to take the lead, but Kincaid quickly passed him and in the second half of the race, Greaves was edged off the track, giving Kincaid all the room he needed for the victory. Jeff Kincaid took the runner-up spot behind his son, with Hart rounding out the podium. On the heels of his TORC PRO 2WD victory, Kincaid proceeded to scorch the field in the first half of the PRO 4WD race with defending event winner LeDuc hot on his trail. The two made contact coming out of Turn 1 with Kincaid holding onto the lead, but one lap later, Kincaid spun out, giving the lead to LeDuc. That seemed to be the catalyst for everything to go wrong with the rest of the field. CJ Greaves took another trip off the track after contact with LeDuc, while Johnny Greaves lost a front tire. Scott Douglas, who was second behind LeDuc, saw his AMSOIL/Cooper Tire/Borla Exhaust suffer engine issues, while Chad Hord, third at the time, also lost a tire. With the PRO 4WD title all but won for CJ Sunday, both the final race of the year and the AMSOIL Cup will test the young champion’s ability. LeDuc has won 13-straight PRO 4WD events over the course of the 2015 and the Greaves boys have said they’re leaving it all out on the track tomorrow in an effort to end LeDuc’s streak. Dinsmore proved again that the Big House is his house with his fourth-straight top-2 finish here. He earned the victory over a hard-charging Maxxis Tire-sponsored Kyle Hart and Kyle Kleiman, earning his second podium of the season. Luke Johnson, currently second in the class points, finished just outside the podium in fourth. World Championship Weekend at Crandon is officially underway. Check out these race cars driving to the city's main street for the annual Labor Day parade. Awesomeness. 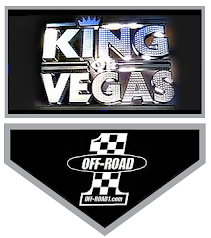 Starting at 10 AM Each RaceDay Morning, Saturday September 5 and Sunday, September 6, OFF-ROAD LIVE! 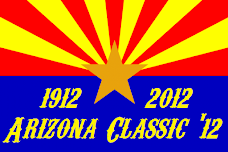 will carry The Big House Short Course Racing LIVE!